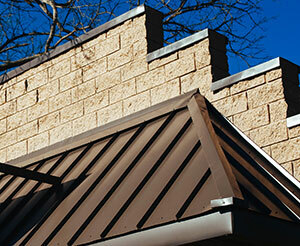 The best Metal Roofing starts with the best Metal Roofing Panels. Our metal roofing panels are manufactured using only top quality metals, cut and roll formed with precision. Metal Roofing from Georgia Metals is higher quality, but not necessarily higher priced. We strive to offer equal or even lower prices than competitors! That said, please beware when shopping for your metal roofing project - sometimes a lower price may indicate a lower quality, such as a thinner metal, lower yield strength, or an inferior paint system. Georgia Metals offers a variety of metal roofing panels for both Residential and Commercial applications. Metal panels come in various gauges, colors, and profiles (shown below) for any type of metal roofing project. We also offer Metal Shingles. Gauge Refers to the thickness of the Metal. The lower the Gauge the thicker the Metal. So a 26 Gauge Panel would be thicker than a 29 Gauge Panel. 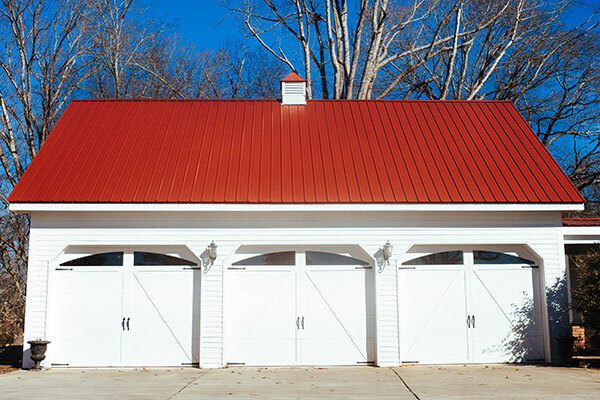 Available in both 26 and 29 Gauges, Georgia Rib Metal Roofing Panels are a Durable, Versatile option for any Industry. Please Note: Color samples are for estimation purposes only. Due to variations in screens/monitors actual colors may vary. Please feel free to contact us for more info! RPanel is a rigid metal panel, popular in commercial applications or where the additional thickness/rigidity is needed. Durable 5-V Crimp offers both a look of nostalgia and modern aesthetic appeal. This panel is often found on historical sites and buildings. Designed to accent or cover high profile homes and buildings, SnapLock Standing Seam uses a concealed fastener system for a sleek, finished look. Clip and nailstrip systems are available for installation. We have nearly UNLIMITED color options for CommercialLock Standing Seam panels. Please contact us for more info or to see if we can match a color!